It has been seen that Pakistan is left behind in terms of technological advancement and education but people here still believe that Islam has saved us from being immoral like other Western countries. Around 26 countries of the world have been legalized same-gender marriages in the name of ‘freedom of an individual’ but here in Pakistan, we have to abide by Islamic rules and regulations. Yesterday, a video went viral on social media in which a couple can be seen ‘without clothes’ making out in the car. 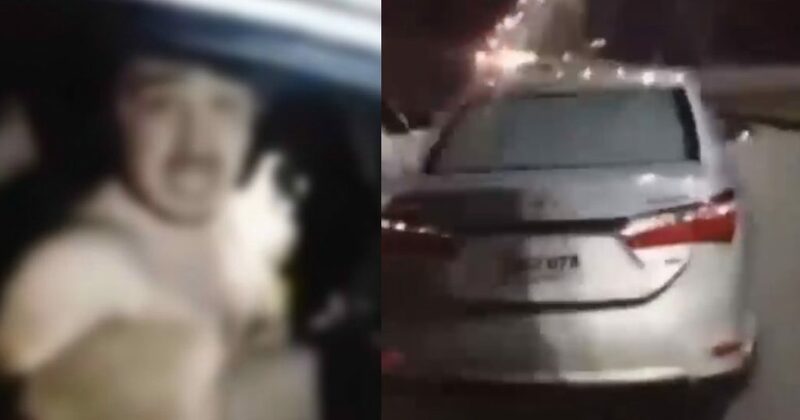 According to the details, the couple parked their car near a police checkpoint and were ‘busy’ in the act a local man caught them and recorded a video. But the policeman interrupted and let the couple go saying that we have seen the numberplate of the car. The location of the scene is Islamabad G-10. A few people shared the video with the caption that ‘Meanwhile in Islamabad Sector G-10’ while a few wrote that it is happening somewhere in Clifton, Karachi. Here Is The Video Getting Viral On Social Media! It is not the first time that couples have been caught in Pakistan busy in making out. Facebook is full of such videos where a couple is found in objectionable condition and when someone comes to warn them, the simple solution for the couple is to run away from the site. Social media users have also raised questions on the role of law enforcement agencies. It can be seen very clearly in the above-mentioned situation that a policeman let the couple go. What could the police have done in this scenario? There are still many unanswered questions left but we’ll just have to let the law decide as to what actions should the police take in such scenarios. This video is not just for fun to watch. It is high time for our society to sit and think about it that why it is happening? And why the number of such cases in increasing? We have made this society conservative and closed where an individual can’t tell his/her parents about the need, a need which Allah has placed in everyone. And when the need can’t be fulfilled legally by getting married, a person goes for the wrong way and let it happen anywhere! Do you want to add more to the story? Share your thoughts with us in the comments.